Your wedding day is probably one the most memorable moments in your life and your partner’s. Surely, you want everything to be as special and as perfect as it can possibly be. Making your wedding the best it can be will involve a lot of planning and organizing. As expected for any wedding preparationyou will have lots of things to prepare, ranging from the wedding cake, wedding dress, wedding shoes, wedding rings, the wedding dayschedule, and of course the wedding invitations. The wedding invitation is one of the most important elements of your wedding as it is the first thing that your guests will get to see announcing your wedding. The invitation is also a very important reflection of your wedding ceremony as well as the theme of the celebration which is why it is very important to carefully and thoroughly consider its design, contents, as well as the wedding invitation wording. It is usual that wedding invitations go hand in hand with RSVP cards. This will conveniently provide your guests with a means of responding to your invites. This is very significant since this will give you an idea as to who will be confirming their attendance on your wedding day. Another important factor which you have to consider in creating your invitation cards is the etiquette of your wedding invitation wording. How you ask for the attendance of your guests and how you go about with the wording of your wedding invitations that gives your guestsall of the essential information about the wedding are all very important not just in avoiding any confusions or misunderstandings about the information but also in making your guests feel good about the way of being invited. 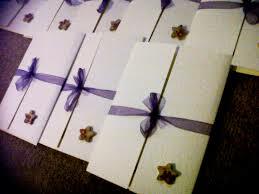 Creating wedding invitations has become a very lucrative business over the years. Thus, if you seek some professional help regarding the service of making wedding invitations, you can always come to these businesses. Here are some of the best resources for you to consider when it comes to looking for stunning wedding invitations. These businesses have different ways of catering to your needs with regards to wedding invitations. Despite the difference however, they all have one common goal and interest and that is to provide you with the best service which will assure you with having the perfect wedding day. These sites already have all the information you need to know about the business. If you have more personal questions though, you can always communicate with them personally through the contact numbers which they have provided on their sites. The resources provided above are also equipped with some samples of the wedding invitations they have created or have made available for future clients. This will give you some ideas as to how you would want your invitation to look like. Or if you already have a specific design in mind which is not present in their catalogue, you can always communicate with them freely and ask them how you would want your invitations to have their own personal touch.